More than sixty thousand people from the Batticaloa and Ampara districts thronged the grounds of the Eastern University for the Pongu Thamil festival on Wednesday. 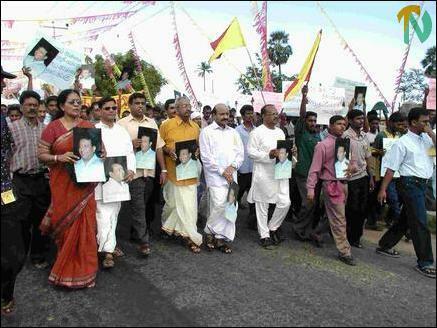 Sri Lanka's minister for community devlopment, Mr. P. Chandrasekeran, Tamil National Alliance MPs Mr. Joseph Pararajasingham, Mr. M.K Sivajilingam, Mr. G. Krishnapillai and the leader of the Western Province People's Front, Mr. Mano Ganeshan, Secretary to the Prime Minister, Mr. Saman Athauda, local religious and community leaders and academics took part in the rally. 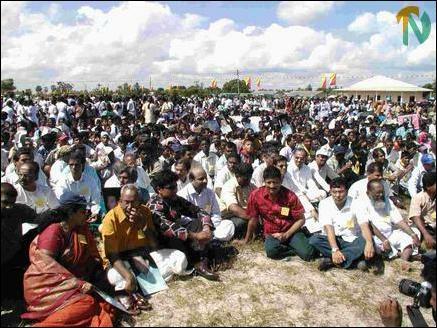 "The international community should understand that Tamils are Tigers, they are inseparable. 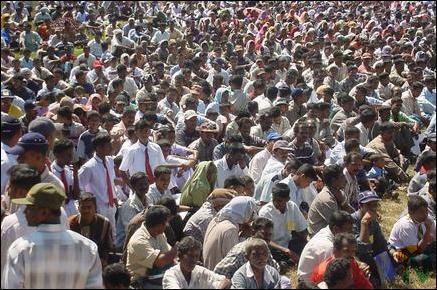 Tamils and Muslims lived as one family in the east. Our senior commander, Col. Karuna Amman says that Muslims and Tamils are one. Sinhala politicians and some external forces are manipulating certain Muslim leaders to divide and weaken our struggle. 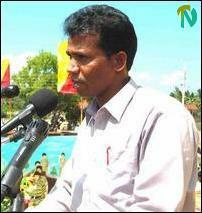 We will defeat this," Commander Ramesh said.